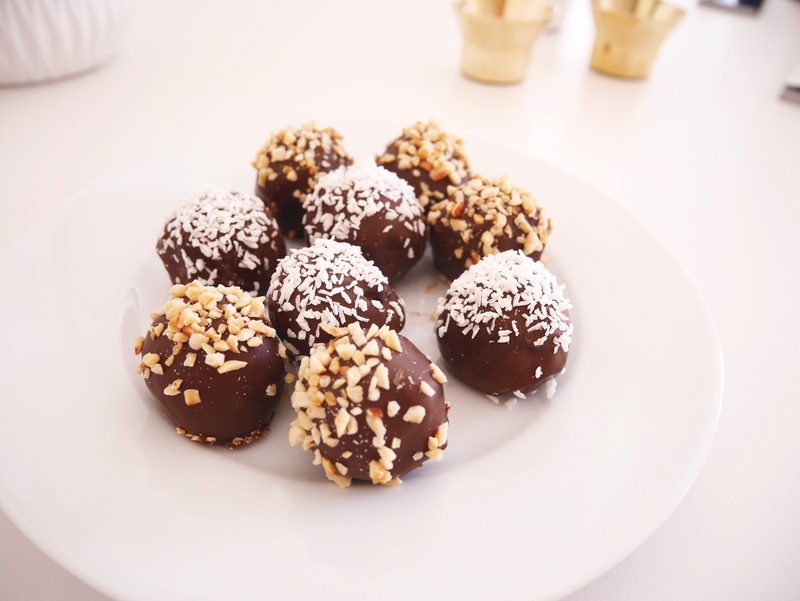 Today is the chocolate ball’s day in Sweden and is therefore I will do extra good chocolate balls today! 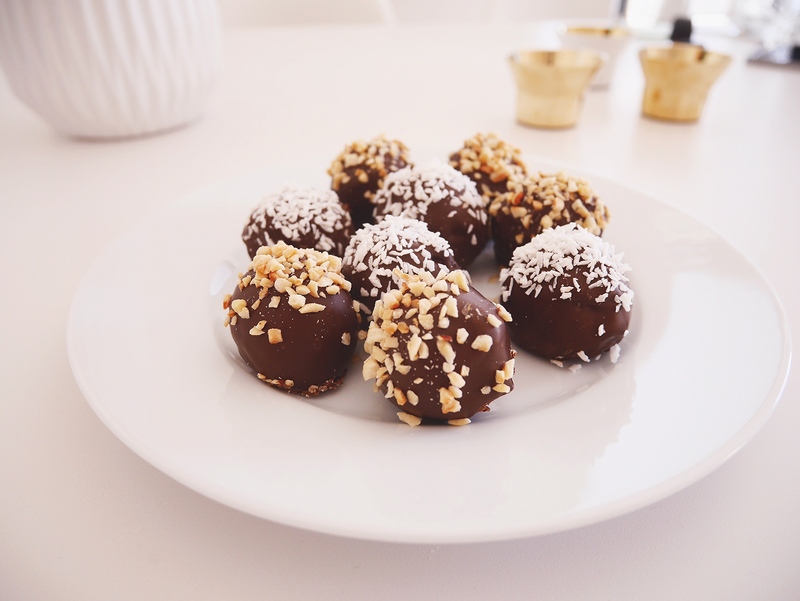 :) These are dipped in chocolate with chopped hazelnuts and coconut, yummy..
1. Mix everything together (except the garnish of course) use your hands! You should not have any butter lumps in the batter, everything should be well mixed. 2. 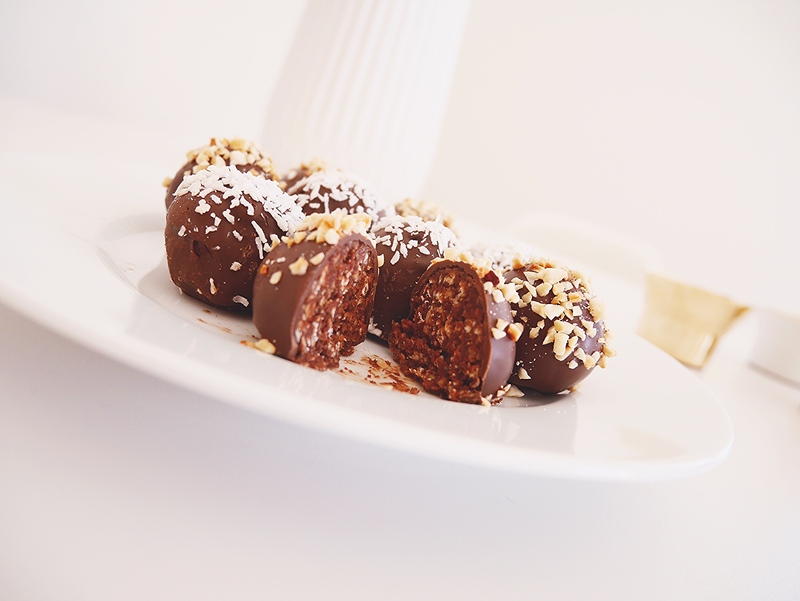 Roll them into small balls and let stand in the frigde while you melt the chocolate in a water bath. 3. Allow the chocolate to cool. I used a potato stick when I dipped the chocolate balls in the chocolate. Stuck it in one chocolate ball, one at a time and take a spoon and poured it over the chocolate until they are completely covered. Then I put them on a plate. Then I sprinkled with nuts and coconut. :) Leave them in the fridge until the chocolate has set.